A clear front-runner, Sonu ke Titu ki Sweety is unstoppable. It grossed over 82 crores and still counting. The trade pundits are amazed, though they called the film, anti-women, misogynistic, that didn’t bother audiences to take a fun ride. Film trade analyst and critic Taran Adarsh posted on Twitter and revealed that with Rs 82.10 crore box-office collection, Sonu Ke Titu Ki Sweety becomes second highest grosser of 2018. #SonuKeTituKiSweety is now the SECOND HIGHEST GROSSER of 2018, after #Padmaavat… Crosses #PadMan [approx Rs. 81 cr]… [Week 3] Fri 2.27 cr, Sat 4.12 cr. Total: Rs. 82.10 cr. India biz… SUPER-HIT… #SKTKS. The film is the fourth complicity of the director Luv Ranjan with Nusrat Bharucha and Kartik Aaryan. They have earlier worked together in “Pyar ka Punchnama”, “Akaash Vani”, and Pyar ka Punchnama 2”. OMKAR KAPOOR’S contribution as an actor in PKP 2 (that too did well at the box office) cannot be ignored & he thrilled the audience with his performance in India’s first web film U ME AUR GHAR as well, released earlier, and is also creating waves for its different & fresh treatment all over the web. Sonu Ke Titu Ki Sweety is also expected to cross the $2 million mark in the overseas market soon. Kartik Aryan, Nushrat Bharucha, and, Sunny Singh, the romantic comedy has now toppled Akshay Kumar’s Padman to become this year’s highest grosser only after Sanjay Leela Bhansali’s monumental work, Padmaavat. 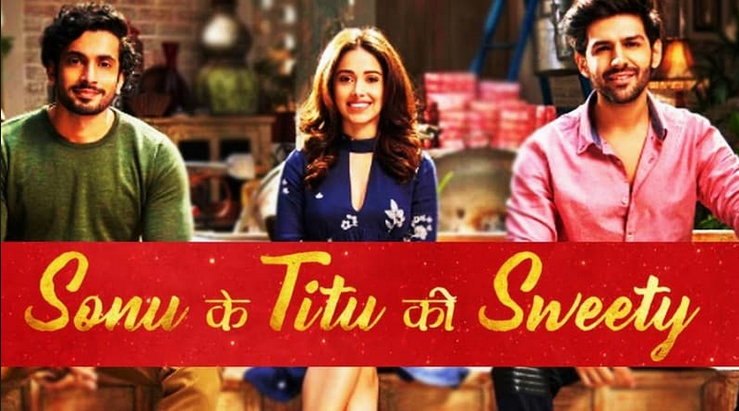 A new-age love triangle set in Delhi and Uttar Pradesh, Sonu Ke Titu Ki Sweety, released on 23rd February.